I've read all of the stories in this volume in the past, but I found it far easier to appreciate them in this format. The language is preserved well, but breaking it up into multiple panels helped me slow down and appreciate the way it builds. In some cases, just the illustration helped clarify obscure language. Madness and murder benefit from eerie distortions and heavy use of screentone, building a visual background to the dark stories. 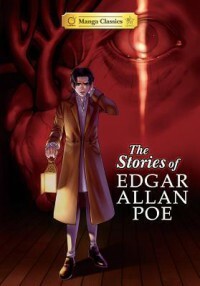 The art stays on the clean and appealing side of commercial manga, though, not tipping too far into the horrific, so this could be a good way to introduce kids, as well as older readers ,to the work of Poe.